Despite data breaches occurring practically every other day, most people are unaware if their personal information has been leaked online or not. To help combat this, Troy Hunt, the creator of Have I Been Pwned (HIBP), has joined forces with Mozilla to add his massive database to future versions of Firefox. The new feature, called Firefox Monitor, will be set up as a secondary site, giving more people access to the HIBP database in its entirety. Users can just enter their email address into Firefox Monitor to find out if their personal information has been compromised. "This is major because Firefox has an install base of hundreds of millions of people," Hunt wrote in a blog post announcing the partnership, "which significantly expands the audience that can be reached once this feature rolls out to the mainstream." In November last year, Mozilla announced that it was integrating the freely accessible HIBP database API into Firefox to alert users when their accounts were breached, but this was, in essence, just a notification system. Firefox Monitor will, however, not only let users know of any known leaks, but also provide recommendations on how to secure their accounts. Mozilla is also considering setting up an alert system which would potentially notify users of new breaches, although this is still in its planning and testing stage. The internet company announced on Monday that it’s working with Cloudflare and HIBP to anonymize submitted user data to ensure privacy. 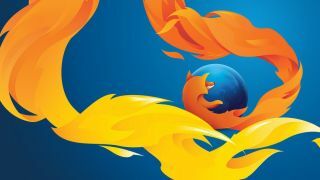 Firefox Monitor will begin rolling out next week to about 250,000 users (mostly in the US) for testing, with the service available to all users further down the line.